You may want to discuss with your students how this ecosystem type appears to differ from other tropical ecosystems such as tropical dry forests, or savannas, and how it is possible that tropical rainforests on opposite sides of the planet can look so similar while sharing few if any species. This primary lowland rainforest receives about 20-30 ft (6-9 m) of rain per year. 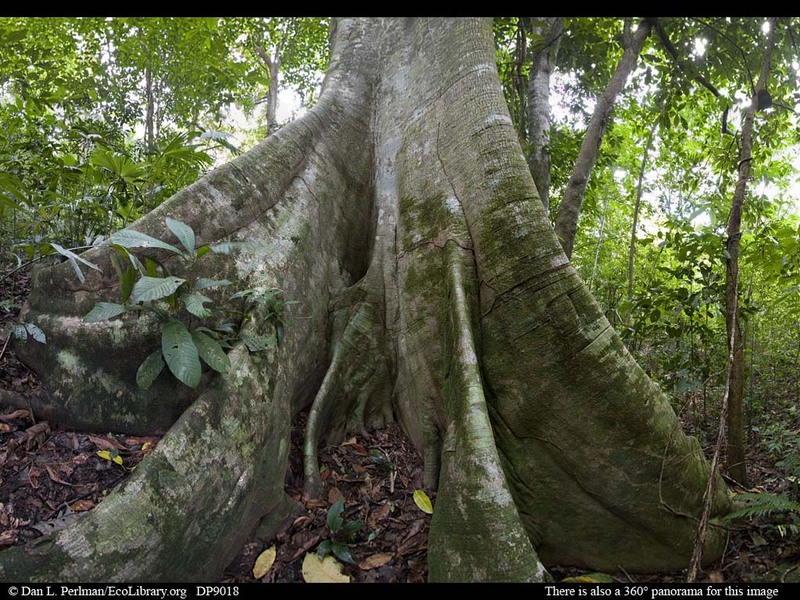 Note the sparse understory, as well as the flaring buttress roots on this giant fig tree. The sounds are howler monkeys in the distance and nearby cicadas, plus a few other insects.